People asked for them and now they're back. 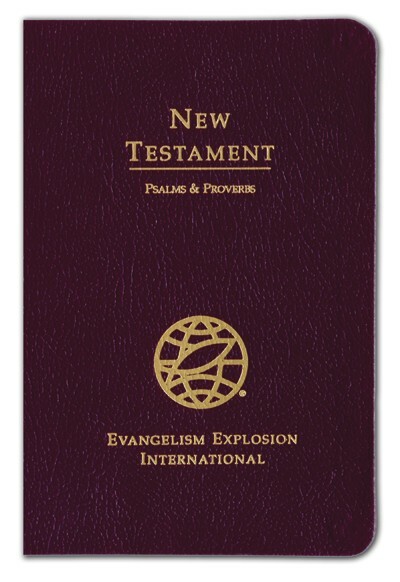 The new EE New Testament Bible comes in an attractive burgundy leather cover with gold lettering. In addition to Psalms and Proverbs, the EE Bible offers several biblical helps: The EE Gospel Tract, Do You Know ? ?, The history of EE, The EE Gospel Outline, An expanded EE Gospel Presentation by Dr. D. James Kennedy, God's Answers for Man's Excuses (answers to common objections).